[0:02] <gordonDrogon> Rastrack is a project to count raspberry pi's in-use and where they are. [0:05] <gordonDrogon> that chap who did it got it going way back. [0:06] <gordonDrogon> he now makes & sells robot stuff for the Pi. [0:07] <DanDare> I see on his site "5% off for rastrack registered people"
[0:09] <sine0> i take it there isnt a power switch on this thing. [0:10] <gordonDrogon> DanDare, it's easy to manage the gpio's. [0:10] <gordonDrogon> DanDare, you can do it from shell scripts if you like. [0:11] <gordonDrogon> well - it al ldepends on what you do - I multiplexed 6 x 7-segment displays together and it was using about 3% cpu. [0:11] <gordonDrogon> that was from a C program. [0:12] <gordonDrogon> that program does it the hard way - if you use 7 (or 8) resistors it's simpler. [0:13] <gordonDrogon> but you need a driver to sink the current of potentially 8 LEDs on at once. [0:14] <gordonDrogon> DanDare, yep - that would work on the Pi - the SR feeding the segments, the transsitors sinking common cathode current. [0:14] <gordonDrogon> or use an LCD display. [0:15] <gordonDrogon> the adafruit one is a bit pricey but nice. [0:16] <gordonDrogon> depends on hoe many pins you need. [0:16] <gordonDrogon> as you need 3 to drive those SRs. [0:18] <gordonDrogon> lots of fun to be had with the gpio. [0:18] <sine0> ok so i have had a hiccup, and thats fine because im just playing computers. i cant access the linux from ssh for some reason. [0:19] <jaggz-> 16gb sd will work in rpi right? [0:19] <DanDare> gordonDrogon, but it needs revisioning because the circuit can be much, much simpler, as using just 1 transistor and a cap. [0:20] <DanDare> sine0, you mean, checking the linux files from windows ? [0:20] <DanDare> sine0, you can do it using some virtual machine (like virtualbox), and accessing the partition from there. [0:22] <gordonDrogon> DanDare, if you use wiringPi, you can cascade 4 595 SR's together with 3 pins for 32 output bits. [0:27] <gordonDrogon> DanDare, http://wiringpi.com/extensions/i2c-pcf8574/ Yes, that's an intersting chip if you look at how it works internally. [0:30] <gordonDrogon> enjoy - zed time for me. [0:39] <DanDare> lost_soul, it must be done from the bootloader options this way, right ? [0:45] <DanDare> SHA256 perhaps ? [0:48] <lost_soul> why would you set it for a different user? [0:51] <lost_soul> if all you want to do is change the password, why all of the playing around with hashes? [1:27] <[Saint]> WHy do people always ask about things I know about when I'm asleep...lol. [1:28] <[Saint]> I could've sorted Mr. Forgotmyrootpassword (bah...why even *have* a root password...grrrrr...) right out. [1:48] <[Saint]> The only possible need to be root is setting up an image that dumps you in a root login with no pre-filled sudo-capable users. [1:48] <[Saint]> Other than that...yeah, no need to be root. [1:48] <[Saint]> But, people like to be root...'cos...hackers. [1:49] <[Saint]> Wow. That must've been *years* ago. [1:49] <[Saint]> Years and years and years ago. [1:49] <[Saint]> root password has been locked on Ubuntu for...well...as long as I care to remember. [1:49] <[Saint]> That rather sounds like someone let themselves in to your system. [1:50] <[Saint]> That shouldn't change the behaviour of the default passwords, though. [1:50] <[Saint]> root should be locked. end of. [1:50] <[Saint]> That's messed up. [1:52] <ShorTie> if there is absolutely no need to be root, how do you install Gentoo ?? [1:52] <[Saint]> [11:48:23] <[Saint]> The only possible need to be root is setting up an image that dumps you in a root login with no pre-filled sudo-capable users. [1:52] <[Saint]> [11:48:25] <[Saint]> ie. Arch. [1:52] <MY123> ShorTie: A custom version of fakeroot works well. [1:53] <ShorTie> Gentoo is by no way an image, lol. [1:54] <phire> from memory the problem passwd said "root::0:0..." instead of "root:x:0:0..."
[1:59] <[Saint]> Learning to hate yourself. [1:59] <[Saint]> "Oh God! What have I done!" [2:00] <MY123> [Saint]: Except if you are using it everyday. [2:00] <[Saint]> Why don't Gentoo people use Arch? [2:00] <[Saint]> Bleeding edge, without the futzing around. [2:00] <[Saint]> I haven't looked back. [2:01] <MY123> [Saint]: Because they want to use CPU-specfic optimisations and I don't trust any random binary. [2:01] <MY123> phire: Agree, Use buildroot. It is good. [2:02] <[Saint]> At this stage, there's really not a hell of a lot to be done in the way of ARM specific optimization for specific ARM flavors. [2:02] <[Saint]> A few years ago, I would agree. [2:02] <[Saint]> Very little gain. [2:04] <MY123> phire: Currently using my work PC, there using Windows 7 is mandatory. [2:04] <MY123> phire: Very lucky. [2:05] <MY123> phire: It is a company policy. [2:05] <MY123> clever: You can use Nouveau, a lot better. [2:07] <MY123> clever : PowerVR is two thousand times worse. [2:08] <MY123> clever: I'm speaking about Imagination Technologies PowerVR graphics. [2:08] <MY123> clever: They power the Intel Poulsbo chipset and the Smartphone Intel Atom CPU. [2:09] <clever> turns out, for power saving reasons, they fit 2 GPU's in that laptop! [2:10] <MY123> clever: There is NO drivers for that, except with Android, and libhybris doesn't like x86. (the system is stuck with a 2.6.32 kernel). [2:16] <MY123> clever: Did you see the ARM init code of Freeblob 0.0.1B ? [2:16] <[Saint]> phire: you can blame the maintainers of <package> for that one. [2:16] <[Saint]> Not Arch as a whole. [2:16] <[Saint]> It is entirely possible to upgrade packages built from source as part of a regular system upgrade. [2:16] <[Saint]> ...which, rarely, if ever, happens. [2:17] <phire> doesn't that require a build from source package to be in the repo? [2:18] <[Saint]> Not necessarily. I've seen it handled before, in various ways. [2:18] <MY123> phire: No. You can use pkgbuild. [2:19] <[Saint]> Its entirely <package_maintainer's> fault that <package> doesn't get updated when compiled from source during a regular system upgrade. [2:19] <[Saint]> I think most of them assume that since you built it from source, you'll want to handle the upgrade yourself explicitely. [2:20] <[Saint]> Not entirely a non-sane approach. [2:22] <[Saint]> ...they had a chance to make it so beautiful. [2:22] <[Saint]> But, they murdered it. [2:23] <[Saint]> MY123: nuts to that...that's removing everything that is actually good and useful from Android for the sake of polishing your tinfoil hat. [2:23] <[Saint]> May as well have a bloody decade old feature phone if that's the way you want to go. [2:24] <[Saint]> txbbq2: rpi-update is well known for trashing /boot partitions. [2:24] <[Saint]> But it can't affect the actual hardware. [2:26] <MY123> [Saint]: Why? There is GPU support in freedreno. If you want something, sideload .apks. [2:27] <MY123> I don't trust anything in //NSA// era. [2:27] <[Saint]> You're woefully misguided. [2:28] <[Saint]> There's absolutely ZERO point in thinking about your mobile devices this way as long as they have a closed radio binary. [2:28] <[Saint]> Which is...every modern phone...ever. [2:28] <MY123> [Saint]: Replicant has a reverse-enginnered radio binary. [2:29] <MY123> It is fully open-source. And tradeoffs functionnality to openness. [2:29] <[Saint]> As long as there's still closed blobs on there, which there are, there's very little point. [2:29] <[Saint]> And all the truly open phones are crap. [2:30] <MY123> [Saint]: There is ZERO closed blobs in Replicant. Maybe , you are looking in the wrong place. [2:34] <[Saint]> That information just plain isn't true. [2:34] <[Saint]> Replicant just chooses devices where the modem is "isolated" (to the best of their knowledge). [2:35] <[Saint]> Anyway - we've had this discussion before. I need to use my phone to do actual useful things...so, Replicant isn't an option. [2:35] <[Saint]> If I wanted a paperweight that also made phone calls, I'd give it a try, but I also need to actually work from this device. [2:37] <[Saint]> Replicant has a FOSS RIL, but, in every case I'm aware of the radio binary itself is closed. [2:37] <[Saint]> It *has* to be closed. [2:38] <[Saint]> ...and as long as the radio binary can walk freely across the entire memory region, and has unfettered access to the SoC, I see zero point in using Replicant. [2:38] <[Saint]> Its a nice idea that is fundamentally flawed. [2:38] <MY123> [Saint]: Replicant does use a reverse-enginnered radio binary. [2:40] <MY123> [Saint]: Replicant has reverse-enginnered radio but doesn't have Wifi or Bluetooth AT ALL. [2:42] <MY123> [Saint]: If there is better documentation than the SRC code, wake me. [2:55] <MY123> [Saint]: Put 100 2Ohms resistors in series. Should be nasty. [2:56] <[Saint]> Once finished, it'll be able to provide a total of 25.2A output. [2:58] <txbbq2> @saint - so if i restore the image to the SD shouldn’t that do it? [2:59] <MY123> [Saint] : Plug a USB harddisk with your hub at 12V, curious to try. [2:59] <MY123> txbbq2: Do you use Linux or Microdollar ? [3:03] <MY123> txbbq2: So do a : dd if=/dev/zero of=<sdcardpath> bs=2M and retry after. [3:03] <[Saint]> It is largely superfluous these days. [3:23] <MY123> hxla: When you use softfp, don't expect much help (use #debian) or high speed. [3:24] <[Saint]> hxla: why do you need a control center for this? [3:24] <[Saint]> Everything you've quoted can be configured from the commandline. [3:27] <MY123> hxla: Is Gnome 3 on a Raspberry Pi a good solution ? [3:28] <MY123> phire: Why? GPU support works with my X11 EGL implementation. But it uses 75percent of the CPU. [3:29] <MY123> hxla: LXqt is a good choice , but more heavy. [3:34] <[Saint]> Pretty much anything that involves running a GUI on a raspberrypi means you're gonna be in for a bad time in some regard. [3:34] <[Saint]> Even the lightest full option (LXDE/Openbox) runs like a bag of crap. [3:35] <[Saint]> And that's putting it mildly. [3:35] <MY123> [Saint]: IF USING WAYLAND THEN USING KDE. Runs well. [3:41] <[Saint]> basically "apt-cache search lxde" would've answered this. [3:42] <[Saint]> networkmanager and nm-applet are likely already installed. [3:45] <[Saint]> You'd have to go to some trouble to break out of this environment, actually. [3:48] <[Saint]> That was literally just "LXDE change keyboard locale"
[3:54] <[Saint]> There's absolutely nothing on the raspi that can be bricked by the user. [3:54] <[Saint]> On either variant. [3:56] <phire> "should be nothign"
[3:58] <MY123> gn0 : Hi. Currently Brainfucking. [3:59] <gn0> Programming in Brainfuck or does it have another meaning that I'm not aware of? [3:59] <gn0> You hate your life. [4:00] <gn0> In which OS are you working with it? [4:01] <MY123> gn0: I'm working on Debian currently. [4:02] <MY123> gn0: BrainFuck is not complicated . You can use BrainFix if you're a beginner. [4:04] <gn0> Actually there is a movie called Brain Fix, curious. [4:04] <gn0> Looks like an adult crappy movie. [4:04] <MY123> gn0: There is a CPU which understands directly Brainfuck code. [4:06] <gn0> well, to be honest, BF is pretty simple, it just uses registers, pointers and indirect memory access so, beside it's syntax, most processors -if not all- understands BF code. [4:06] <gn0> Cool thing is, if you can read BF code and understand it, you can debug a binary like a boss. [4:07] <MY123> gn0: Do you know Malbodge/ That is really difficult. [4:12] <MY123> gn0: There has been two years since the creation of the language to see a Hello World. [4:13] <gn0> So.. knowing how to program a factorial algorithm in Mabodge it's more impressive than having 2 PhD's. [4:15] <MY123> gn0: Still has not the full idea. Should be programmed in two-three weeks if I have the time. [4:18] <gn0> Are you into esotheric programming languages? [4:18] <MY123> gn0: Sort of, when I have anything to do. I code into that. [4:21] <gn0> I have to find a way to copy-paste from this IRC client..
[4:26] <[Saint]> Someone thew up some html and that was the result I guess. [4:27] <gn0> so I have to learn how to use Emacs to use rcirc, geordie? [4:27] <MY123> gn0: Did you see the webarchive link? [4:28] <gn0> geordie, does it worth it? [4:28] <MY123> gn0: You can use it on Linux. [4:29] <[Saint]> rcIRC on Emacs...uuuugh. [4:29] <MY123> gn0: The Unix version works. [4:30] <[Saint]> gn0: heard of WINE? [4:30] <MY123> gn0: You can use any DOS program on Windows. Download and test it. It works on Windows7. [4:31] <MY123> gn0: You can use any DOS program on Windows. Download and test it. It works on Windows7. [4:31] <[Saint]> gn0: You can use any DOS program on Windows. Download and test it. It works on Windows7. [4:31] <phire> gn0: You can use any DOS program on Windows. Download and test it. It works on Windows7. [4:31] <[Saint]> ...I'm sorry, was that not a thing we were doing? [4:34] <MY123> [Saint] : Did you see two messages of mine after that. I repeat messages because the majority of them get eaten over the connection. [4:34] <gn0> lol? what was that? [4:36] <MY123> clever: Not lol. Can give you a screenshot. [4:37] <geordie> does anyone know if you can run dos progams on windows? [4:37] <geordie> or should i ask in #debian? [4:38] <MY123> geordie:You can use DOS program on Windows with all 32-bit versions of Windows. (not 64). [4:40] <MY123> gn0: with a massive 512M of RAM. [4:40] <gn0> why do you do that? [4:41] <MY123> gn0: Proof of concept. Just had my old machine unused in 7 years. And tested it. [4:43] <MY123> gn0: What IRC client ? [4:55] <MY123> gn0: Yes , very simple. Currently developing in full BrainFuck. [4:58] <DanDare> whats the name of window manager that pi uses ? [5:01] <gn0> what are your expectations on the sound mier, DanDare ? [5:05] <gn0> by curiosity, what are you doing with the RPi? or just playing around? [5:07] <gn0> what do you think about it? pretty cool, right? [5:08] <DanDare> gn0, sure its. [5:11] <gn0> are you studying? [5:22] <gn0> DanDare, did you googled about it? [5:25] <DanDare> alright, whats a lightweight, simple to use audio player for raspbian ? [5:25] <gn0> I´ll be back tomorrow, Goodnight! [5:25] <DanDare> ok, thanks ! [5:27] <clever> try changing it to alsa maybe? [5:35] <DanDare> the last post says install "apt-get install gstreamer0.10-plugins-bad"
[5:43] <[Saint]> "India doctors remove 232 teeth from boy's mouth"
[5:46] <DanDare> clever, sounds like it. It would be a dependence package so... or, not so sure. ..
[6:48] <RahulAN> any one here? [6:57] <RahulAN> gordonDrogon, are you there? [6:59] <RahulAN> but how to set it up seriall? [7:58] <[Saint]> RahulAN: your biggest problem isn't connecting the device. [7:58] <[Saint]> You biggest problem is that you're going to have to write your own client side software before you can even use it. [7:59] <[Saint]> If you are not capable of doing so, give up now. [7:59] <RahulAN> [Saint], No, the problem is that i am not having much knowledge of this module. [8:00] <[Saint]> That's *a* problem...but, as stated yesterday, you're going to have to write your own client software for this. [8:00] <[Saint]> Connecting the device is only a very small part of the problem. [8:00] <[Saint]> Once connected, you'll need to write your own software to manage it. [8:01] <[Saint]> I imagine that won't be trivial for you given the questions asked prior. [8:02] <[Saint]> you're unable to do that without first writing the software. [8:54] <BlueMint> hello, I'm having a bit of trouble with my NRF24 modules. I am trying to send with a raspberry pi and recieve with an arduino. Here is the code I have, I am currently getting nothing on my arduino's serial output and the RPi seems to be sending everything fine. Anyone got any idea? [8:57] <BlueMint> Is somebody can help me to get this working I can offer $5 as a little incentive. [9:06] <gordonDrogon> how do you know the Pi is sending if you get nothing at the Ardunio end..
[9:32] <pepijndevos_> Can I read my gmail on a headless raspi without syncing my whole multi-gb imap? [9:33] <pepijndevos_> Most CLI clients seem to be based on offlineimap syncronizing everything. [9:35] <pepijndevos_> x29a: :( that's cheating. Does that work well? [9:37] <sandking> time to install os, does booting without os should show something? [10:51] <gordonDrogon> BlueMint, hi - sorry - went away from breakfast - I've no idea about the BBB. That radio is SPI based though if I recall. Any reason to use it rather than e.g. Ciseco xrf/urf or xbee type radios which use serial? [10:56] <gordonDrogon> BlueMint, did you buy a specific one for the Pi, or just the bare module and hook it up yourself? [10:56] <gordonDrogon> got a URL for the one you bought? [10:59] <gordonDrogon> ok - and you're using the same module at both ends? [11:01] <gordonDrogon> I'll have a quick look at the manual..
[11:06] <gordonDrogon> it's not the easiest of things to setup..
[11:08] <gordonDrogon> BlueMint, and I still don't do Python ... but you're using someone elses library by the looks of it - are there any more examples using that library? [11:11] <gordonDrogon> the example on the github says you need spidev - I don't see that in your python. [11:11] <SirLagz> logic check - If i have crontab line with 0 0 * * 0 /script <-- that should only run on a sunday right ? [11:13] <gordonDrogon> min, hour, day of month, month, day of week. day 0 or 7 is usually sunday. [11:14] <gordonDrogon> BlueMint, can you not get that code on stackexchange going at all? [11:16] <gordonDrogon> gotta go afk for a while - back later. [13:49] <mummson> my B+ just arrived. Is it ok for me to boot it up on a SD card that I was using on my B, or do I have to create the SD card again? [13:50] <shiftplusone> the worst that can happen is that usb wont work, if your firmware is old. [13:50] <mummson> and that can be updated with the update tool? [14:00] <gordonDrogon> do the update on your own Pi first though, else the ethernet won't work! [14:02] <dunz0r> Anyone have a Banana pi yet? [14:02] <gordonDrogon> and someone emailled me today about getting some code to run on it. [14:02] <gordonDrogon> dunz0r, just buy a Pi. 3 million Pi's - 3 banana Pi's. [14:03] <gordonDrogon> then either re-write your code to be more efficient. 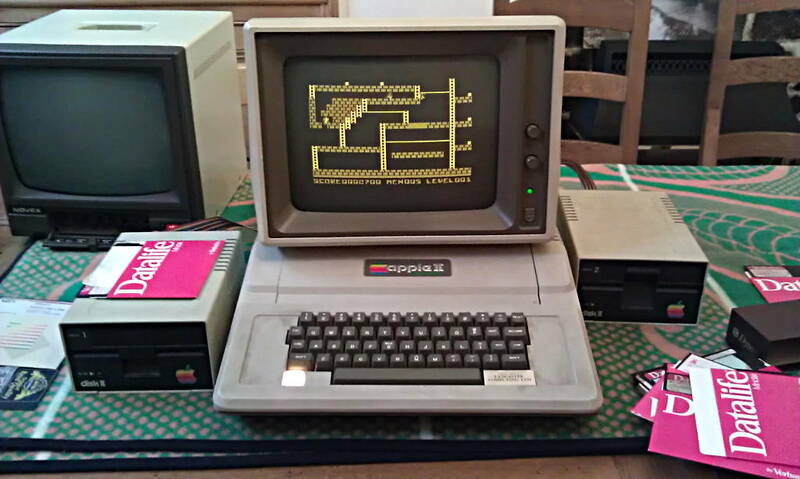 [14:03] <dunz0r> I've built myself a little nice retro-gaming-machine, but the pi can't handle playstation-games with 3d. [14:03] <gordonDrogon> or pick something with good support - I'm not convinced the banana pi has any support right now. [14:04] <dunz0r> But then I'd have to get a playstation and not be able to switch between nes/snes/sega/psx/scumm without switching machines. [14:04] <Armand> dunz0r: Another alt. would be the ODroid U3. [14:04] <dunz0r> Armand: Oh, haven't looked at those at all. Thanks for the tip. [14:05] <dunz0r> Armand: I found some tests of it against an rPi... totally sweeps the floor with it. [14:07] <gordonDrogon> no-one disputes that the Pi isn't the fastest little arm board out there. that's not what the Pi is about. [14:07] <gordonDrogon> benchamrks like that are pretty pointless. [14:08] <Armand> The ones with tend to be a tad expensive. [14:08] <gordonDrogon> the power of the Pi comes from the commuinity.. There are many other little ARM boards (and intel,via, etc.) and most of them are pretty good, but the Pi community is just massive. [14:11] <dunz0r> mgottschlag: Well, according to all sources, it boots up just fine. [14:12] <gordonDrogon> I did get an email from the banana pi people in .cn - they asked me to - I asked them to send me one - they didn't. [14:12] <gordonDrogon> so no wiringBananaPi for it. [14:12] <dunz0r> It seems to be slower in single core applications though. [14:14] <Armand> I would expect that's merely a software issue. [14:14] <dunz0r> mgottschlag: On single threaded stuff, yes. It's faster on multithreaded stuff though. [14:14] <Armand> The bPi is still an immature product. 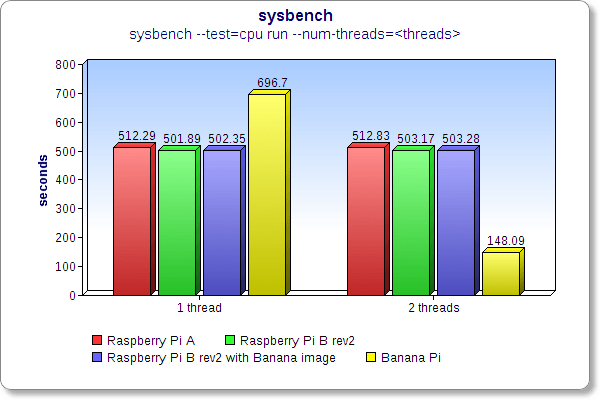 [14:15] <dunz0r> Rpi vs bPi, cpubench. [14:16] <Armand> "They (the developers) are not releasing the code for the kernel that ships with the images. That seems to constitute a GPL violation. To me, that seems to be a hindrance to the development of a community around this hardware and relegates it to just being a novelty." [14:22] <dunz0r> I could of course fork the retropie-project and build it for x86 or something. [14:22] <dunz0r> But I like the rPi. It's so small and handy. 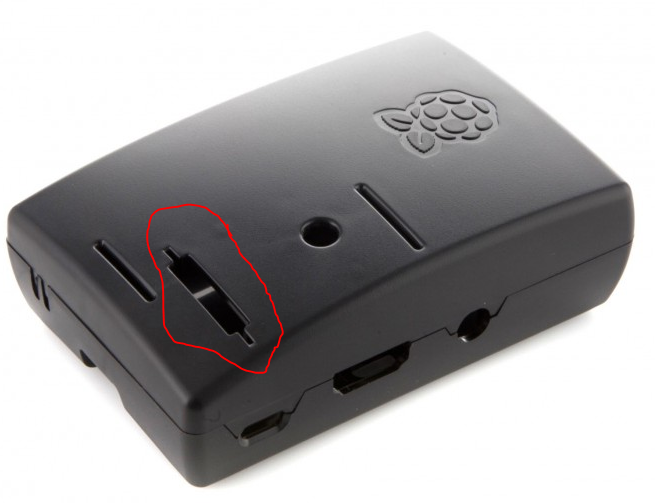 [14:24] <mummson> I just bought this case http://i.imgur.com/hJZz1OX.png and I am confused about the third hole is for? [14:25] <dunz0r> mummson: Status LEDs? [14:26] <dunz0r> Ah. Camera connector maybe? [14:55] <pepijndevos_> Where do I buy these 4-pole jack plugs? I tried some local stores, but get very puzzeled looks. This connector is not an improvement IMO. [14:56] <gordonDrogon> pepijndevos_, for the audio & video? [15:02] <gordonDrogon> there's a few on amazon - e.g. http://www.amazon.co.uk/Lindy-35539-Adapter-Stereo-Composite/dp/B00062UE3K/ref=pd_cp_ce_3 but they don't give the pinnout. [15:04] <gordonDrogon> I don't think it'll be long before the usual Pi shops are selling the right cables though. [15:18] <[Saint]> 36.97% comment, 63.03% code. [15:18] <[Saint]> can't tell if bad or good. [15:19] <[Saint]> Thanks, ants. Thants. [15:23] <[Saint]> Yeah. They ran out of money. [15:49] <ShorTie> what is this all about ?? [17:06] <flexo_> ... normal that usb and eth didn't work anymore? new controller? [17:11] <flexo_> shiftplusone: firmware and drivers? [17:13] <flexo_> can i do that by rpi-update? [17:19] <flexo___> ^ that's okay? [17:23] <flexo___> without all that usb stuff attached (and cpu still at 100%) it was 100% stable. uptime of several months. [17:24] <shiftplusone> what was fine? [17:24] <flexo___> of course i'm doing authorized penetration testing. [17:24] <flexo___> and the pi has no crypto processor..
[17:25] <flexo___> i was hoping that the b+ might be more stable concerning voltage issues on the usb side? [17:46] <flexo___> let's retry with just the keyboard attached. [17:49] <shiftplusone> what power supply is on the hub? [17:54] <flexo___> and can i connect through a serial port? [17:54] <flexo___> but i have this multi.. tool.. thing... which can be attachedn from serial at various voltage levels to i2c to whatever..
[17:56] <flexo___> there are no changes to the usb driver, no? [18:04] <flexo___> where can i find b+ sd card images which should just work out of the box? just to rule out hardware issues? [18:07] <flexo___> looked there - doesn't say what it's compatible with..
[18:08] <nid0> all current images are compatible with all pis. [18:09] <flexo___> as i guess that one doesn't support btrfs..
[18:10] <flexo___> i trashed 3 or 4 ext4 filesystems before i made my own kernel..
[18:11] <flexo___> i tried other hardware. [18:11] <nid0> whats wrong with shutting it down before powering it off? [18:13] <flexo___> which is not related to the filesystem at all. [18:13] <flexo___> need to rebuild then? [18:15] <flexo___> bsch00: i need btrfs. i really do. [18:15] <james_olympus> I've been using Tiny Core Linux for embedded Pi's. It has a read only root filesystem, so can tolerate being unplugged without shutting down. [18:15] <flexo___> james_olympus: alright. ro root is fine of course. [18:15] <flexo___> is there some serial port on the b+? [18:16] <mummson> where can I buy a new one? [18:17] <james_olympus> flexo___: Do you mean a serial port not present on the model B? [18:24] <flexo___> where are those pins on the b+? [18:29] <flexo___> i suppose that's intended for small (touch?) displays? [19:00] <lost_soul> is anyone using the new beta version of openelec (4.2 beta 1) on the Pi? [19:11] <flexo__> would i expect to see anything on the UART when i power it on without any microsd card attached? [19:12] <flexo__> do i have to have tx attached? [19:12] <flexo__> or is rx+gnd enough? [19:17] <flexo__> what do you mean by monitor? [19:20] <flexo__> Uncompressing Linux... done, booting the kernel. [19:20] <ShorTie> now you need the other pin, hehe. [19:22] <flexo__> is there another bus where i can monitor uboot? [19:23] <MY123> flexo__: There is two I2C busses on a Pi. [19:24] <MY123> *three but one is for the RPi Camera. [19:28] <lost_soul> what is it you get paid to do? [19:29] <flexo__> used to be aerospace... now it's railway stuff. [19:32] <gordonDrogon> railway stuff... had my share of that in recent years. [19:37] <flexo__> hm. coffee first. [20:01] <mr_yogurt> Can a raspberry pi stream live video over the internet from the camera module? [20:01] <mr_yogurt> Could I use a raspberry pi to build a quadcopter? [20:02] <mr_yogurt> What makes a raspberry pi quadcopter crappy? [20:05] <mr_yogurt> Those aren't problems. I intend to build an autonomous one (if possible. some people are skeptical). Also, I'm pretty sure bigger quadcopters can carry 2 oz of computer. [20:06] <mr_yogurt> Could I hook a raspberry pi up to a piksi? [20:07] <mr_yogurt> Wait. I might have misunderstood what you meant by lack of real time control. The raspberry pi will not be able to control the rotors in real time or I can't control the raspberry pi in real time? [20:08] <mr_yogurt> The first could definitely be an issue, but not the second. [20:12] <mr_yogurt> shiftplusone, what exactly did you mean by lack of real time control? [20:15] <gordonDrogon> mr_yogurt, he means that there are things that happen behind the scenes on a Pi that you have little control over. [20:16] <gordonDrogon> e.g. Linux - task switching, but even behind that there are things like the memory & video refresh. [20:16] <gordonDrogon> it can be done - and has been done, but even though it's a much faster processor than e.g. an AVR it has the potential to not be as real-time capable. [20:17] <mr_yogurt> Maybe I should go the arduino route. The problem is connecting said arduino to the internet. A raspberry pi would be much easier to connect to the internet. 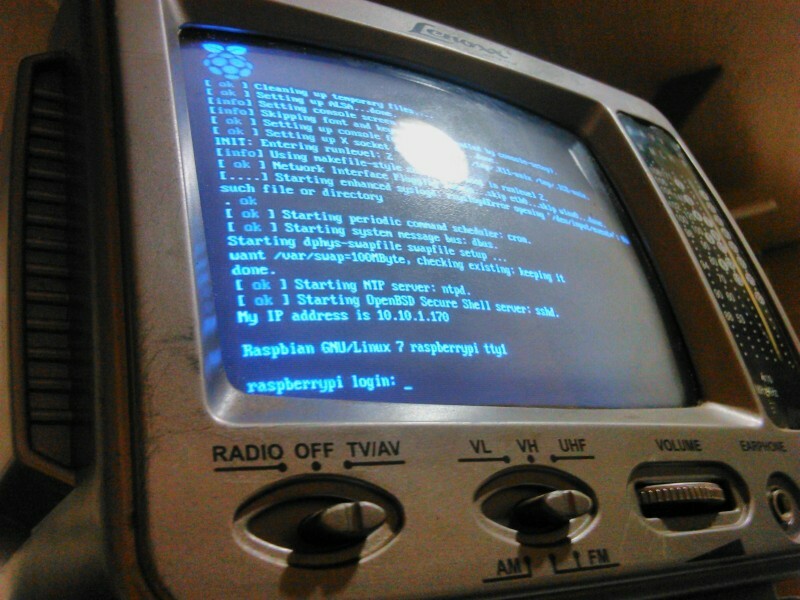 [20:18] <MY123> mr_yogurt: Did you try Linux-RT on the Raspberry Pi ? [20:18] <gordonDrogon> however the Arducopter mega isn't connected to the 'net. [20:19] <mr_yogurt> I don't own a raspberry pi. I'm asking questions before I do anything so I don't end up with stuff I can't use. [20:19] <gordonDrogon> what you can do is use the Pi as a more inteligent base station - so establish a good telemetry link and use the Pi to visualise and send position correction information. [20:19] <gordonDrogon> or even put a B+ on the 'copter - use the ATmega for the real-time control. [20:20] <mr_yogurt> The reason I'd like to use the internet is that I could control the quadcopter from anywhere with 3g. [20:21] <gordonDrogon> 3g has somewhat high latency and operating a quad that's out of visual sight is now illegal in most places anyway..
[20:22] <mr_yogurt> How can I find out where it's illegal to control a quadcopter out of sight and where it isn't? [20:23] <mr_yogurt> Where can I find the exact rules? [20:23] <mr_yogurt> I'm in the US but is it a state thing or a nationwide thing? [20:23] <gordonDrogon> CAA in the UK, FAA in the US. [20:24] <gordonDrogon> I'm in the UK. [20:25] <mr_yogurt> Looks like you need to get a certificate if you want to do UAV stuff in the US as a civilian. [20:26] <Armand> The core intent is to prevent Joe Public from counter-spying. [20:26] <Armand> Coz, you're not allowed to watch the watchers, right? [20:27] <mr_yogurt> So if I want to fly my quadcopter around where I can't see it I have to get a license or certificate or something complicated. [20:32] <mr_yogurt> Maybe I'll have an arduino along with the Raspberry Pi, and connect the GPS to the arduino and the internet and camera to the raspberry pi. Connect the raspberry pi to the arduino to give commands to tell it where to go. [20:34] <mr_yogurt> Do any of you have experience with the piksi? [20:34] <gordonDrogon> you might want to go & lookup the arducopter project - they have solved a lot of the issues - like building a controller board and so on. My project was to designe everything from scratch, software & hardware. [20:36] <mr_yogurt> How did that project of designing everything from scratch go, gordonDrogon? [20:49] <gordonDrogon> technically I'm still under NDA about it - although they've done a bit of a runner on my, however I'll wait until middle of next year when the NDA has expired then I might do something with it all mysefl. [20:51] <mr_yogurt> Maybe if I find enough friends who think it's cool. The problem is I don't have any friends, let alone friends with money. [20:52] <gordonDrogon> the system we were looking at was for very high definition photos & video - the control system had to survive loss of a single motor - or at least do a "controlled crash".. So I was looking at Hex and Octo platforms. [20:52] <mr_yogurt> How hard is it for drone AI to deal with wind? [20:54] <mr_yogurt> I talked with some people at #arduino and there was one guy who was insisting this is the type of thing only large companies and governments could do properly. [20:55] <gordonDrogon> we were more woried about keeping the camera platform steady. [20:58] <mr_yogurt> The problem with using a piksi is that a piksi needs a base station to get cm accuracy. The question is, can I use another quadcopter as a base station? [21:00] <gordonDrogon> http://swift-nav.com/piksi.html that piksi ? [21:03] <mr_yogurt> Do you know of a better solution than that for accurate GPS or have you not heard of it before? [21:04] <gordonDrogon> it's er... expensive! [21:05] <mr_yogurt> Can you find a cheaper GPS with centimeter accuracy? [21:05] <gordonDrogon> although I'm not sure how much a standard differential gps system is these days. [21:06] <mr_yogurt> From what it looks like I can have two identical quadcopters, each using the other as a base station. [21:07] <mr_yogurt> I should put a battery in a glass of water for a week and see what happens. [21:09] <mr_yogurt> How will I hook up a raspberry pi to 4g cell towers? [21:09] <mr_yogurt> Or 3g ones. [21:10] <shiftplusone> flexo_, what was the issue? [21:11] <flexo_> shiftplusone: well, i'm not 100% sure why..
[21:12] <MY123> Why is there an AES256 implementation in the firmware? [21:12] <flexo_> MY123: huh? there is? [21:12] <flexo_> is it worth anything? [21:14] <MY123> flexo_: There is an AES-256 implementation in the start.elf but WHY? [21:15] <MY123> flexo_: You can try to use it but you have to develop some code. [21:16] <MY123> That implementation was included for Secure Boot support and HDCP. Two things as bad as hell. [21:17] <kuplatupsu> Hello people. Just got my b+ and camera, and was playing with raspivid. Is --vectors supposed to work? I only get an empty file. [21:18] <shiftplusone> kuplatupsu, if you don't find out by tomorrow, I can take a look. [21:20] <MY123> shiftplusone: Why is Secure Boot support included in the Raspi firmware ? The worst thing included in a pseudo-open platform ever. [21:27] <mr_yogurt> It probably would be easier to buy a quadcopter and then hack my own computers into it. [21:35] <kuplatupsu> and only a binary? [21:35] <MY123> kuplatupsu: There is its source code in userland. [21:36] <shiftplusone> b or b+ ? [21:36] <MY123> DoctorPenguin: Which Pi? [21:37] <MY123> DoctorPenguin: How many USB ports is there ? [21:38] <MY123> DoctorPenguin: On which Pi, there is a problem ? [21:39] <MY123> shiftplusone: Is HDCP enabled on a Raspberry Pi ? [21:40] <DoctorPenguin> is that in raspi-config? [21:42] <kuplatupsu> I think I need to set up a cross compiler, compiling on Pi is pretty slow. [21:43] <kuplatupsu> Or would it make sense to try to run similar environment inside a virtual computer or emulator? [21:44] <shiftplusone> kuplatupsu, yeah, set up cross-compiling. What do you need it for though? [21:45] <Armand> You must be confused..
[21:45] <MY123> DoctorPenguin: It is horrible and there is HDCP code in the start.elf of the Raspberry Pi. [21:46] <shiftplusone> kuplatupsu, ah, that doesn't take too long on the pi. [21:46] <Armand> The P4 Prescotts were awful for heat, but the Core line moved things along massively. [21:46] <Armand> If you had issues cooling a C2D, you're doing something wrong. [21:47] <shiftplusone> kuplatupsu, but what it does is tell omx to open the camera and do stuff... not too fancy. [21:47] <MY123> DoctorPenguin: : An AMD FX 9590 is much more awful than even a Prescott. [21:48] <Armand> I've actually had a P4 Prescott 2.8GHz running at sub-50c temps. [21:49] <MY123> Armand: Can you try to do that with an AMD FX 9590. 200W of TDP. [21:50] <Armand> On straight air, probably not. [21:50] <MY123> Armand: And 350W of TDP on a 20 percent overclocking. [21:51] <MY123> Armand: It is the most awful CPU ever. [21:51] <DoctorPenguin> Have you bought or owned one of them? [21:51] <Armand> I'd gladly take the system to work on. [21:52] <MY123> DoctorPenguin: I had one of them sold it after 6 months because my power bill was way too high. [21:53] <Armand> I live in shared housing, so bills are inclusive. [21:53] <DoctorPenguin> not the US? [21:54] <Armand> This is private rental. [21:54] <Armand> I live literally less than 10 minute walk from my office. [21:54] <gordonDrogon> think I'm about 10 seconds from my office ..
[21:56] <DoctorPenguin> I remember studying at Jagellonian University and Prague last yr. It was pretty awesome. [21:56] <Armand> Not been to Poland.. Looking forward to visiting Bulgaria though. [21:57] <DoctorPenguin> The only thing I will warn you about Armand, is that smoking is legal everywhere. I'm not a smoker but, I don't appreciate when its like hard to avoid it. [21:57] <Armand> DoctorPenguin: I've been to Paris..
[21:58] <DoctorPenguin> My professor studied for his doctorate in Slovakia and Bulgaria. He said it was pretty awesome. [22:00] <DoctorPenguin> are they really rated in speed? [22:01] <steve_rox> anyone rember the cmd to get to that setup menus? [22:03] <DoctorPenguin> gordonDrogon: what sci fi is that from? [22:05] <gordonDrogon> DoctorPenguin, is what from? [22:05] <DoctorPenguin> " rated by waving a crystal over them on the full moon ..."
[22:05] <gordonDrogon> steve_rox, price was a real factor - and that was 2.5 years ago or more now ..
[22:06] <gordonDrogon> DoctorPenguin, oh - none - just me being silly about the claims of SD speeds, etc. [22:27] <MY123> Aqua`: Samsung MEMORY. [22:28] <steve_rox> you sure its a rpi you got and not something else? [22:29] <steve_rox> okays so you have a sd for it? [22:31] <steve_rox> what you writeing the image to the sd with? [22:32] <steve_rox> and you are targeting the correct drive letter and not trashing some other drive? [22:33] <steve_rox> the fat32 part is accessable? [22:33] <steve_rox> you checked the adapter works? [22:34] <steve_rox> the psu is good? [22:34] <steve_rox> dont you have a regular sd card to try? [22:36] <steve_rox> you sure the sd card is firmly inserted? [22:36] <Aqua`> I'll try to boot my pc of the SD? Or will I break my pc because it's for arm? [22:37] <steve_rox> can you nap/borrow a regular sd card? [22:38] <Aqua`> What part of the pc? [22:46] <Aqua`> Can I connect the pi to my laptop and see things from there? [22:51] <Aqua`> Wait.. Could it be that the pi takes a loooong time to load the microsd card? [22:52] <steve_rox> jhelps if you have a display on it or something? [23:01] <lost_soul> the card must have some type of compression so perhaps the pi doesn't know how to use it? [23:01] <lost_soul> can't you blow it out and make the card be the actual size it is? [23:07] <Aqua`> How about SD cards using a microsd card inside? Isn't it the same as some adapter? [23:09] <lost_soul> a microsd card inside would imply an adapter (though hard wired, I guess)... but what evidence makes you think that most sd cards use micro inside? [23:09] <gordonDrogon> the foundation cards they're selling are like that - have been for some time. [23:10] <steve_rox> solveing some kinda manufactureing process? [23:11] <gordonDrogon> a good indication of a batteries capacity is to weigh them. [23:12] <gordonDrogon> even by hand you can tell the difference between the rubbish imports and a good brand name. [23:12] <gordonDrogon> ie. the heavier the battery, the more capacity it has. [23:12] <Aqua`> What would be a good SD card? [23:12] <gordonDrogon> good sd - mostly anything bought from a reputable supplier with a good name on it. [23:13] <gordonDrogon> no idea - I have some sandisk ones, a couple of kingstons, foundations ones and a Lexar. [23:19] <Aqua`> How long should I try waiting with the power connected to my pi to give it one last chance with noobs lite? [23:20] <gordonDrogon> So - power should come on (red) then the green ACT LED will light up brefly, then after a few more seconds it should flicker for a bit until it goes mostly off - by then there will be stuff on the screen. [23:22] <gordonDrogon> not many people here use Arch, so support might be limited. [23:22] <ShorTie> hmmm, what are using to put them on ?? [23:25] <ShorTie> can you try another card ?? [23:26] <DanDare> If I want to watch full HD movies on pi I need to install openlec or I can just install some player on raspbian ? [23:26] <DanDare> or just install xbmc on raspbian ? [23:27] <steve_rox> a normal sd not off ebay? [23:27] <Aqua`> 75 euros already..
[23:28] <ShorTie> what kind of power supply are you using ?? [23:29] <ShorTie> how many amps does it put out ?? [23:30] <DanDare> openlec will play h.264 videos ? [23:32] <Aqua`> So 1 amp is good? [23:32] <Aqua`> A 32gb SanDisk SDHC extreme would be good? [23:36] <lost_soul> Aqua`: some have said that it is good to boot off the sdcard and have storage on usb... so perhaps a 4 or 8 GB sdcard and a 32gb usb pendrive would be a better solution for you? [23:46] <Aqua`> Is icidu some new brand? [23:46] <Aqua`> And a good one?